Youngest-ever barrister Gabrielle Turnquest. How old? She was able to buy a pint just this year. We just got the news that an 18-year-old is about to become a barrister, the youngest ever. And what did you do this week? As the story goes, U.S. citizen Gabrielle Turnquest, 18, will become “the youngest person in the history of the English and Welsh legal system to be called to The Bar after passing The Bar Professional Training Course.” Her achievement was formally recognized at a London ceremony yesterday, July 30. A fashion law specialist! Though the whole 18-year-old thing is amazing enough, I find Gabrielle’s aspirations pretty enchanting. Don’t we all think there are plenty of (you name the practice niche) lawyers practicing already? Do we need another to tout that traditional practice as a faux goal? How many new lawyers try to convince themselves that they have a passion—PASSION!—for discovery and document review, or parking-structure zoning, or some other category that may make a fine living but that likely does not stir the blood? 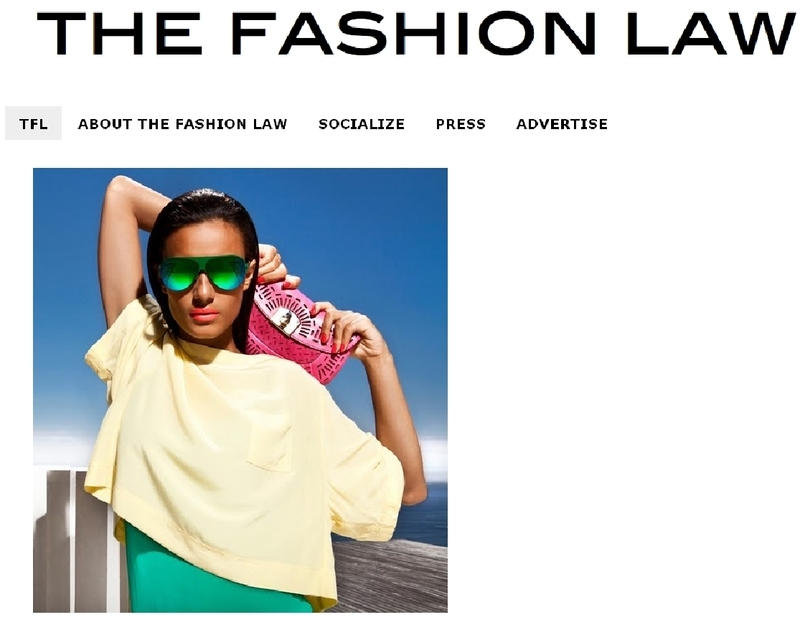 If you are interested in who’s suing whom in the fashion world (and more), The Fashion Law may be the leading authoritative source. It’s a marvelous mashup of many areas of law we all took in law school, plus a little Project Runway and What Not To Wear—which is exactly the wonderful career I wish for Ms. Turnquest. More information about the university is here. A University of Law graduate is to become the youngest person in the history of the English and Welsh legal system to pass The Bar exams at just 18 years of age. 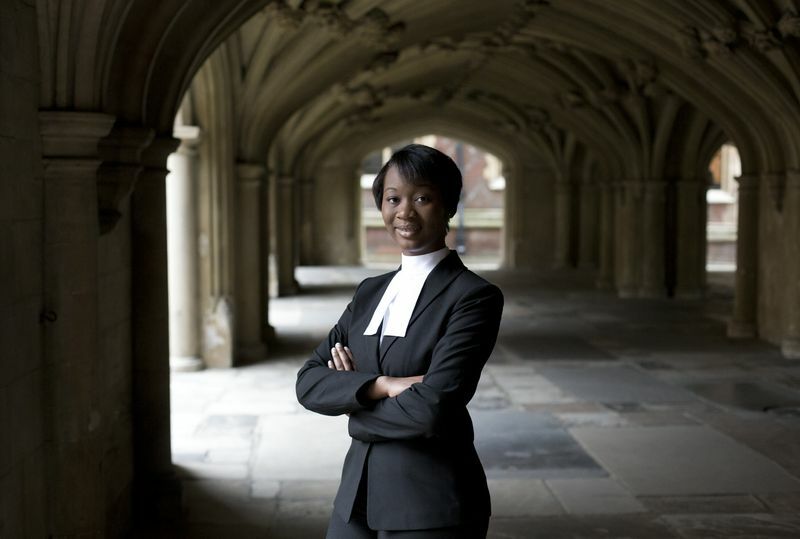 Gabrielle Turnquest will be called to The Bar of England and Wales through the Honourable Society of Lincoln’s Inn on July 30, 2013, the youngest person in the Bar’s more than 600 year history to do so as a graduate. Gabrielle, who is from Windermere, Florida, undertook The University of Law’s Bar Professional Training Course following passing the Graduate Diploma in Law when she was 17 years old. She is returning to the USA this fall to continue studying towards fulfilling her aspiration of forging a career as a fashion law specialist. Historically, a trainee lawyer had to be 21 years old to be eligible for the call to The Bar but this was removed in 2009 when the Consolidated Regulations of the Four Inns of Court were replaced by the Bar Training Regulations. The average age of a student graduating from the BPTC course is 27*. Gabrielle has already made history at her previous University, Liberty University in Virginia, where she became the youngest person to be conferred an undergraduate degree at that institution having completed her Bachelor of Science in Psychology at the age of 16. Under The University of Law’s Bar training programs, overseas students can undertake training at its centres that is internationally relevant, helping them to gain an international perspective and qualify for other countries’ Bar and solicitor training requirements. Gabrielle will also be called to the Bahamas Bar, the country of her parental heritage. She will then return to the USA and attend the Fashion Institute of Design and Merchandising to pursue a programme in Apparel Industry Management. This will equip her with the necessary skills needed to venture into the niche market of fashion law. Alongside this course she will also prepare and sit the multi state Bar in the USA. Globally the legal services market is thriving and is expected to increase to $751bn (£480bn) over the next three years, which represents an annual average growth rate of 5% between now and 2015**. Over half of the revenue of the largest 100 law firms in the UK is now being generated by international law firms based in London putting the UK firmly on the map as a global legal hub and also opening up greater opportunities for UK law firms operating overseas. This month, the State Bar of Arizona launches a collaboration with an organization committed to making legal service more available to former military personnel. Here is news about how you can participate and lend a hand. Since 9/11, many of those deployed have been National Guard or Reserve component servicemembers. They leave behind jobs, families, friends and civilian life to face the stress of combat, long deployments, and painful reintroductions to everyday life. Coming home can mean facing difficult changes, reemployment and financial challenges, stressful family conditions, and in many cases legal issues that developed while on deployment. Help them face their legal battles at home. Become a part of the State Bar of Arizona’s statewide effort to make military legal assistance more accessible. Please help make military legal assistance available throughout the state. Follow the effort on Twitter. If meet-and-confer rules work for discovery motions, why not use them for all dispositive motions? Before the month of July fades away, I wanted to point to some terrific content in the soon-to-be-not-current Arizona Attorney Magazine. Today, I point you toward an article that challenges the courts to consider a new approach to non-discovery motions. In the article, Judge Douglas Gerlach (Superior Court for Maricopa County) and Eugene Cohen begin by describing the benefits that have flowed from Arizona’s revised approach to discovery. 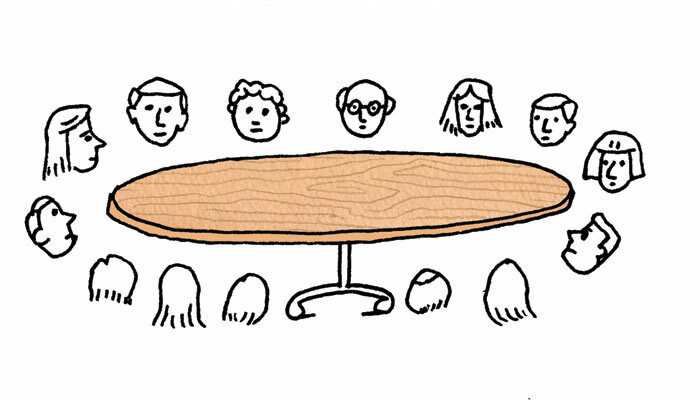 So if Arizona’s legal profession is pleased at what we call “the Zlaket Rules” have done for discovery, why don’t we require meet-and-confer rules of lawyers even beyond discovery? What do you think? Should the courts adopt such a rule? Would it improve law practice? Would it improve your ability to assess a case’s value? The day’s overcast, but this is a pretty sunny spot for a Venice Beach law firm. 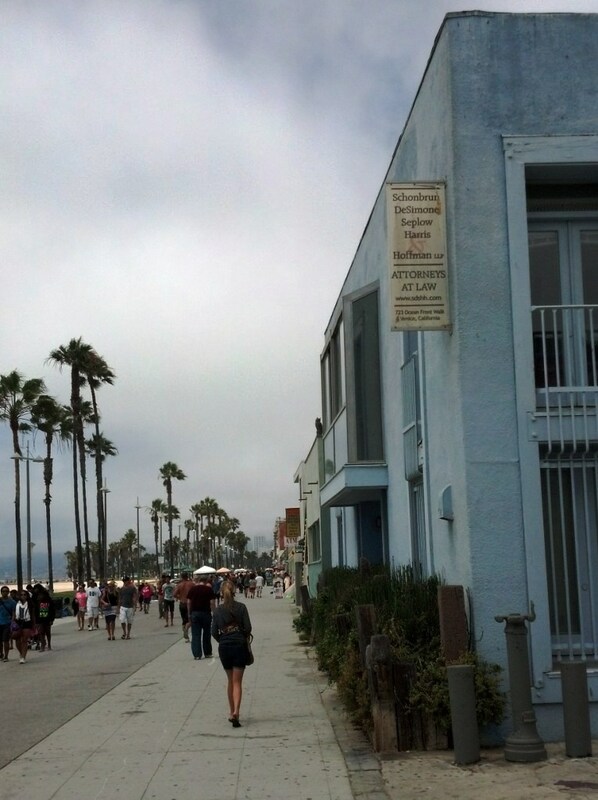 Strolling along the Venice Beach boardwalk in California, the last thing I expected to see was a law office. Sure, T-shirt shops, wild murals, henna stands. But a law office? That led me to think our Change of Venue Friday should be just a few photos. What’s a better fit for the end of the week? The law firm, by the way, is not one I’m familiar with, so please don’t take this as an advertisement for Schonbrun DeSimone Seplow Harris Hoffman & Harrison, LLP. But imagine your own law office situated like this: The Pacific Ocean immediately west of you. And a continent of possible clients behind you. Pretty sweet. I wrote the other day about Venice Beach’s founder, named Abbott Kinney. 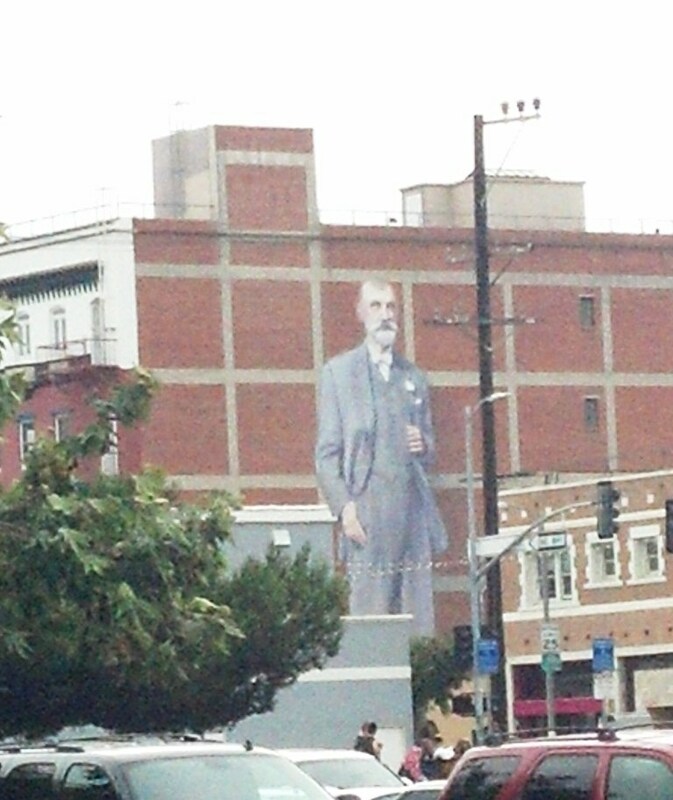 So esteemed is that fellow that he managed to be muralized only a block away from the boardwalk. With a longer-than-preferred layover, I decided to finally stroll over and head up to the building’s Encounter Restaurant and Bar. 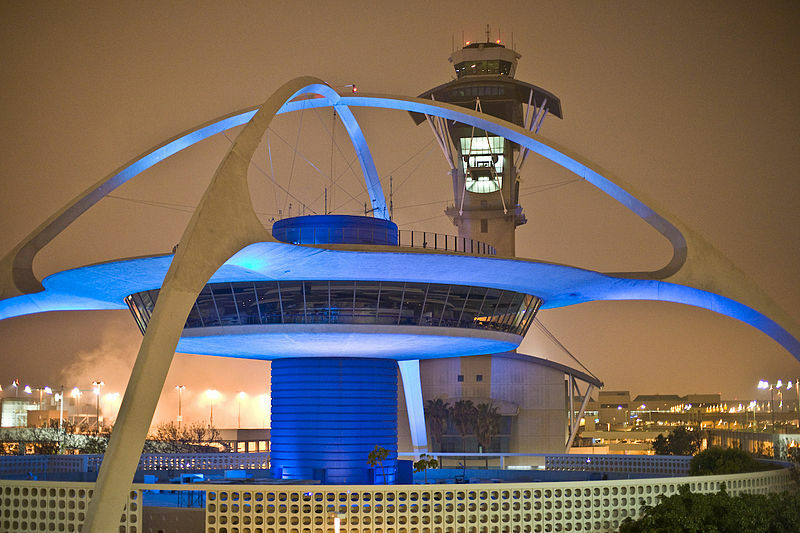 I’ve seen the mid-century modern iconic building for decades and always wondered about the view. Here are a few photos of the view inside the funky building and its elevator panel, along with the traffic-control tower to the west. Have a great weekend—mid-century modern or not. Flip off: All (protected) speech may not be for everyone. Where does protected speech end and obstruction of justice begin? That has been on my mind since the 1980s, when I would regularly drive the many hundreds of miles of the New York State Thruway system. It was not uncommon then (and probably the same today) that you would see State Trooper vehicles parked on a grassy berm, with a radar gun trained on oncoming traffic. If you were fortunate enough, that radar gun was pointed the other way, aimed toward the opposite lane of vehicles. And so you, the lucky, were presented with a question: Should you flash your high-beams at the cars headed toward you, warning them that a speed trap was around the next bend? Please don’t remind me that speed may contribute to accidents and worse; I’m aware of that. But on most modern freeways (even in the 1980s) engineered for substantial speeds, 55 mph was a drowsy punishment. It is simply too easy to drift above that limit. And the costs associated with a ticket (including insurance costs) were (and are) substantial. Back then, it was very common for many drivers to use their own headlights in aid of oncoming drivers. Especially appreciative appeared to be the semi-truck drivers, who would flash their thanks back to you. Early social media, I suppose you could call it. Were the troopers pleased at our community communication? Probably not. But they appeared to know what the First Amendment meant. More recently, some police officers have been responding to headlight behavior with anger and the heavy hand of the law. Here is a story about a man arrested for obstruction of justice for flashing his lights as a warning. Maybe the arrest came because so few people will flash oncoming drivers these days. My own unscientific poll of colleagues found that a majority did not even know what the practice meant. So if people are unaware of the flash’s meaning, why would they participate? So perhaps Mr. Elli is one of the few remaining in that helpful herd. Whereas in years past police would have had to cite hundreds of drivers for the practice (and so wouldn’t), they now see the civic activity rarely, and so feel empowered to smite it. But how different is Mr. Elli’s behavior, really, than that of some mainstream news organizations? Every day, the Tucson Sentinel updates its online page of “Radar Van Locations.” You can see a screen-shot below; it’s very detailed. I doubt police like that page, but they appear to understand that it is protected by the First Amendment. How is the activity of a sole driver any different? 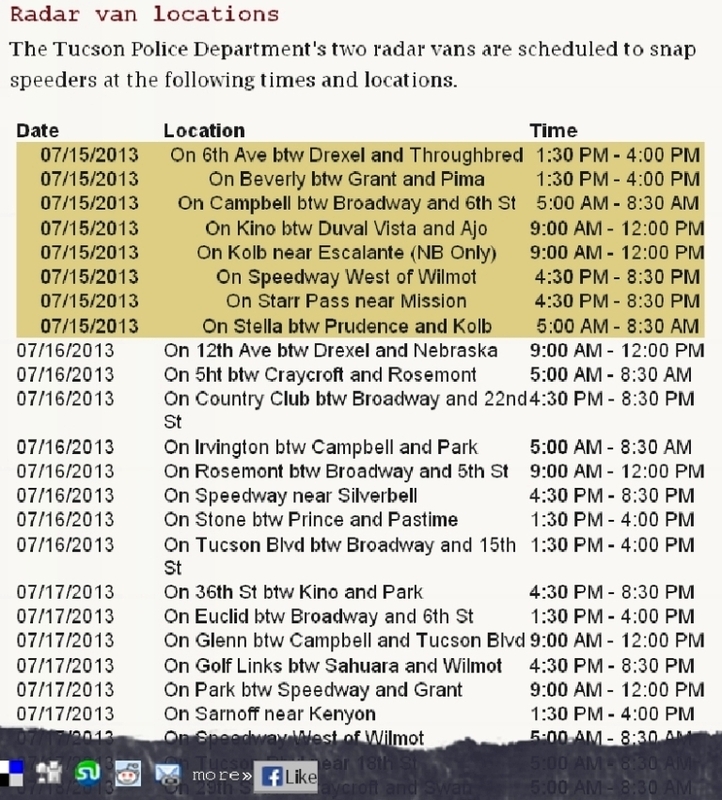 “Radar Van Locations” via the online Tucson Sentinel. Finally, here is an indication that communications attitudes may be changing—when it comes to flipping off a police officer. Call me old-school, but I must say activity like that is pretty distasteful. Police have a very difficult job, and it cannot always be fun being the professional authority figure. But the court’s reasoning may be sound. What do you think? Do people have a constitutional right to convey information to their fellows, as long as they do not otherwise interfere with police activities? If you care about the direction the legal profession is headed (and I think you do), one person you ought to be reading is Jordan Furlong. The lawyer and accomplished speaker strategizes some of the best ways forward for lawyers and law firms. 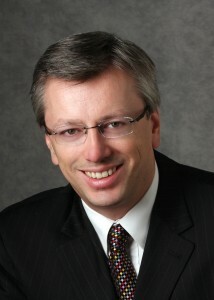 In a recent blog post, he also offered advice to bar associations, which he says are in need of transformation. Brand awareness, legitimacy and trust—these are all elements of Arizona Attorney Magazine’s mission statement, so I’d like to think the State Bar of Arizona is on the right track, even in challenging times. Furlong goes on to advise about some practices bars may adopt to help them remain relevant to members. How does your experience compare? 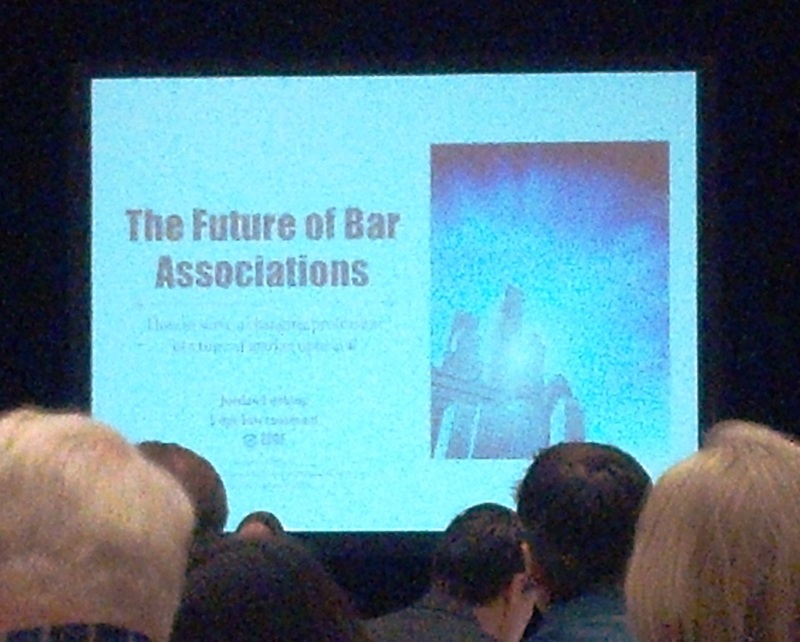 In February, I had the opportunity to hear Furlong speak at a national conference of bar executives. He was compelling and a little bit frightening—exactly the wake-up call he was hoping to deliver. I was asked to write a news story about Furlong’s talk; you can read that here (go to page 5). As I describe in my article, Furlong advises bar associations to remember that they serve the legal profession, which encompasses more than just lawyers. That broadening of scope may increase the reach of bars, but it may not be most pleasing to attorneys. Jordan Furlong presentation at the National Association of Bar Executives, Dallas, Texas, Feb. 6, 2013. Furlong also points readers to an article by Sam Glover called “How Can Bar Associations Stay Relevant.” I recommend that too. Finally, here’s a last mention on the bar association topic. In a recent blog post regarding “the cloud” and how lawyers can grow comfortable with storage options “up there,” LexisNexis expert Frank Strong suggested some strategies. That step is one that Furlong and Glover would recommend as reclaiming the relevance of bar associations. It is assistance with law practice made concrete. You should read Frank Strong’s whole article here. This week, I am pleased to say I have escaped the Arizona heat and have headed west to California. Venice Beach and all its wonder is the destination. As always, when I head to points-not-home, I get a bit curious about legal angles that may afflict the foreign community. 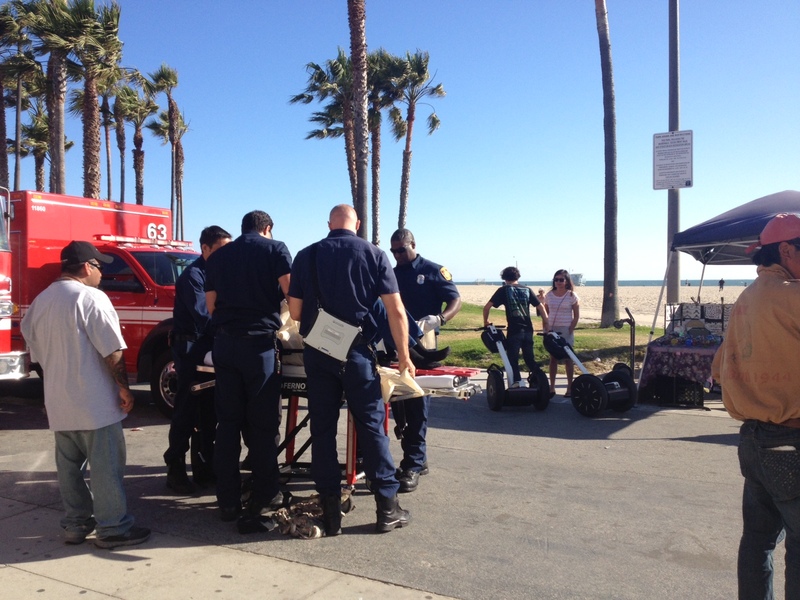 Given that the locale is Venice Beach, I took it as a challenge that the legal story could not be about medical marijuana, dog-leash laws, overnight parking permits, or injury caused by speeding Segways. I mean, come on; give me a hard challenge. Abbott Kinney, founder of Venice, Calif.
That’s when I came across a story about a deed from the turn of the last century that helped to create the free-and-easy Venice we know today. 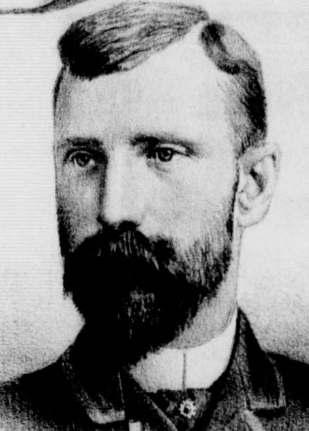 Abbott Kinney was a developer, conservationist and founder of Venice. 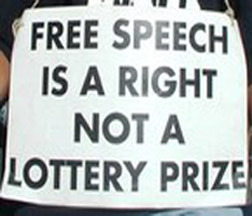 Free speech placard via the Venice Beach Boardwalk Coalition. A subsequent deed in 1906 conveyed the Ocean Front Walk itself. Given the deeds, the community groups wonder, is all the development at the park and on the boardwalk legal? I’ll leave that dialogue to community activists and chambers of commerce. Read the original deeds (1904 and 1906) here. I’m pretty fond of Venice Beach. And a legal mystery only adds to its charm.